Mayor Billy Barlow highlights the four key proposed updates and revisions to the city's Section 8 Administrative Plan. Mayor Billy Barlow highlights the four key proposed updates and revisions to the city’s Section 8 Administrative Plan. 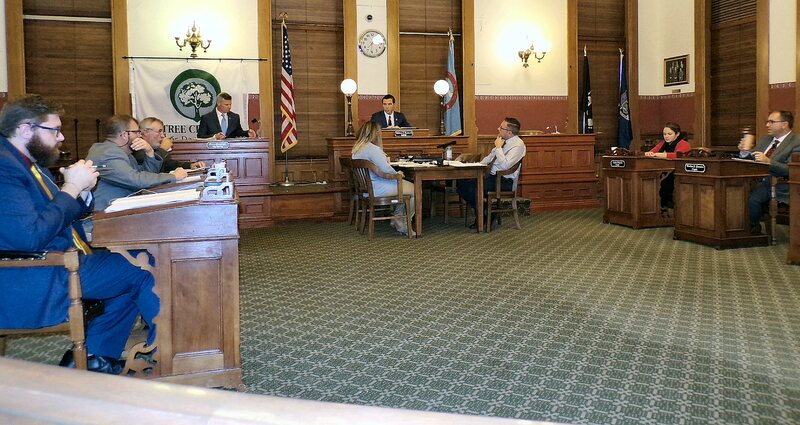 OSWEGO, NY – Mayor Billy Barlow’s proposed comprehensive reforms to the city’s HUD Section 8 Rental Assistance Program were approved by the Common Council by a 6-1 vote on Monday night. Council President Eric VanBuren cast the lone nay vote. He wants to make the program “more of a hand-up program rather than a hand-out program,” Mayor Barlow said. The mayor wants to upgrade the rental assistance program’s inspection standards. Landlords accepting HUD vouchers would be required to obtain rental permits from the city and abide by city and state code, he explained. If properties fail to meet the required housing quality standards inspection, the landlords would be cited with a $100 fee after the first re-inspection. An additional $50 fee would be assessed for each ensuing inspection failure. Of the 930 units inspected this year (as of Nov. 30), 77 percent failed, Barlow told the councilors. Barlow’s proposal implements a ranking system to place individuals on the program that prioritizes those working part-time or enrolled in an education or vocational training program, he pointed out Monday night. It would also place higher priority on military veterans and individuals from outside the city would receive the lowest priority, he added. These reforms will better connect individuals to helpful resources, like workforce development agencies that can assist with conducting a job search, preparing a work resume and finding meaningful employment – ultimately setting a person of a path to self-sufficiency, according to the mayor.